Thanks to Family Christian for sponsoring today's post. With Easter having just passed by, the story of Jesus is fresh on many of our minds. And what an amazing story it is!! Born to die for each and every one of us! This is certainly a story I want to be sure to teach my children during the Easter season and throughout the year. Make It Fun. Sometimes learning about Jesus can be a lot like learning about history...and some kids find that- well, boring! Don't make it a lecture! Kids love arts and crafts, so do some fun Bible lessons based around favorite Bible stories! Set It To Music. Who doesn't love music? Not only is it fun, but kids also retain information better when set to a tune! Teach your little ones some classic Bible songs, or get creative and write your own! Lead By Example. Perhaps the greatest thing we can do to teach our children about Jesus is to lead by example. When our kids see us reading our bibles or saying a prayer, they will pick up on these things. More than a collection of Bible stories, this vividly illustrated children's book tells the big picture of the Bible, from the creation of the world to the calling of Israel to Jesus's victory over death. 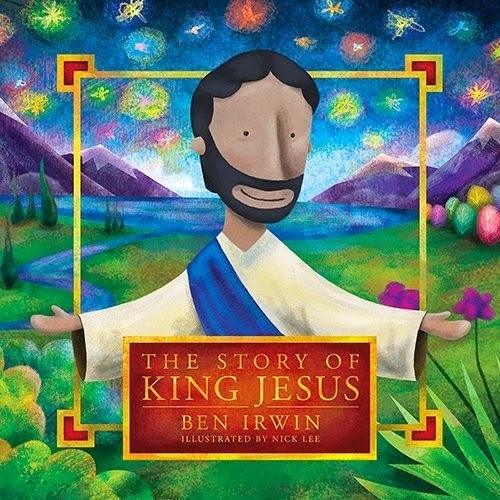 Designed for ages 4 to 8 years, The Story of King Jesus is the gospel told in a single story, designed to be read in one sitting. The thoughtful illustrations nurture a child's spiritual curiosity and draw them deeper into biblical truth. Also included is a letter to parents introducing the concept of the gospel as a story and offering suggestions for how to use the book with children. Sounds pretty great, right? Now, I have not yet had the chance to read this one with my little ones, but it is certainly on our reading list... the art on the cover alone has me captivated! I know that this will be a great addition to our Christian kids' book collection. What little one in your life would love this book? What other tips do you have for teaching kids about Jesus?